A Perfect World age-defense skin guardian with white tea is the longest name of any skincare product we have ever reviewed and this one is from the company Origins. I really approve and enjoy the fact that this comes in pump, no better package for this product. Antioxidant-rich White Tea is the main ingredient and is known as ¨Elixir of Immortality¨, this exotic blend also contains bitter orange can be used to gently exfoliate the skin’s surface; another powerful ingredient is mentha viridis (spearmint) leaf oil to boost energy. Of course that age-defense skin guardian with white te has many more ingredients, we are not talking about all of them here. You can use age-defense skin guardian with white te if you have dry, normal or oily skin. I like to use it before my moisturizer, either on the morning or at night. At morning I use it for a very simple reason it helps protect the skin against the environment and stop any nasties getting in. I am not a fan of scents but in this case at night I really enjoy to smell the calming white tea scent. Despite the high hopes age-defense skin guardian with white te is just good as a moisturizer and gives a super velvety feeling, indeed you can expect after consistent usage smoothed and more firm skin texture. But you need to apply a moisturizer after applying this this is a not a moisturizer, only helps. In order to get better results you must buy the complete line which can be expensive. This is a product to prevent age not to reverse damages already done. In my personal case feels like silk on my skin and didn’t cause breakouts but some of my girls at the clinic cannot use it two days on a row or get pimples, they have oily skin that´s why. Now this is very important you just need one pump and then MUST apply your moisturizer since age-defense skin guardian with white te is not a moisturizer. 3 stars out of 5. 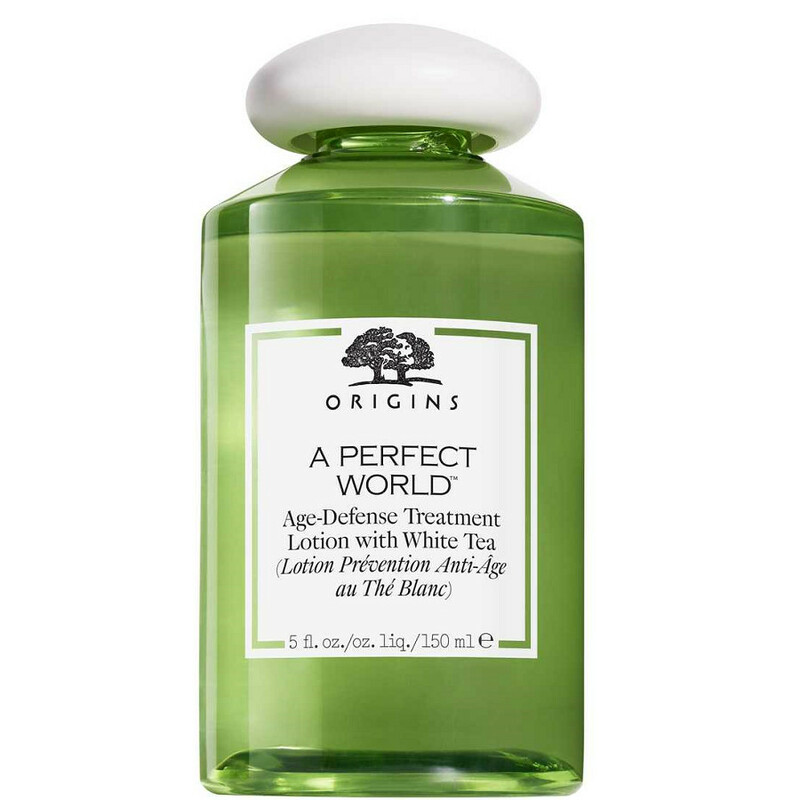 Origins a Perfect World age-defense skin guardian with white tea. Thank you for reviewing this article. Wow. Thank you for reviewing this article. I have some information for you about skin care. My plan next year I will visit one of the medical spa in Bali.